Clairsentience, aka clear sensing, is the most underwhelming of the psychic faculties. Most people believe clairvoyance is the preeminent psychic modality. ‘Clear seeing’ via the third eye is fun and fascinating to ponder. But, how does this grab you? Clairsentience is the very foundation of the other ‘clairs’ – clairvoyance, clairaudience and claircognizance. The humble clairsentient quietly does the day, sensing and knowing things, without relying on the ordinary senses, developing new eyes, reading cards, etc. Clairsentients have been dubbed ‘psychic sponges’, because they absorb everything in their milieu, from the energy of old buildings, objects and people to the spirit world. Are you beginning to see that this is actually one of the most thought-provoking facets of of the psychic modalities? What is Clairsentience in Subcategories? Let’s get a clear idea of the subsets that can contribute to your clairsentient ability. The whole world whispers its secrets to the clairsentient. Because the clairsentient feels or senses emotions of other people, they take on negative emotions and health challenges of their clients. Empaths must grasp methods of shielding their client’s feelings from their own. Otherwise, they can get physically ill with diseases, sore throats, migraines and so on. Psychometry is another extrasensory perception that is intertwined with clairsentience. This is a highly-developed sense of feeling or touch and ability to ‘read’ objects of people, living or dead. By tuning into the vibrational frequency of objects such as watches, rings, broaches, etc.  the psychic can pick up information and insights about the owner of the object. This aspect of ESP demonstrates as gut feelings, hunches, premonitions, etc.  The psychic has an inner-feeling that something will happen, but doesn’t know the reason why. Premonitions are accompanied by physical sensations, such as a ‘lump’ in the throat when a potential trauma is intuited. This ability was originally defined as the ability to perceive smells of a paranormal nature. Example: smelling perfume your deceased mother wore when you are alone. Most likely her spirit is in your immediate vicinity. What is Clairsentience Revealing to You? Just call clairsentients holistic psychics! Like holistic medical practitioners, they treat the whole body. For instance, she can do a total body scan by holding her hand about six inches away from your body and slowly scanning from head to foot. Any hot spots are reliable indicators something is going on in that area. If the person radiates positive energy, the psychic will feel tingles in her neck and head areas. An abundance of negative energy can make him feel nauseous. Clairsentients may receive alerts from spirit. Neck hairs stand up, sudden onset of rage or stomach pain. This type occurrence signifies immediate change is necessary, such as ‘don’t get on the plane’ or ‘don’t sign that contract’.